Crossings Republik Township, NH-24 Ghaziabad - 201016, U.P. 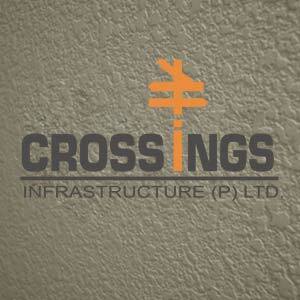 Crossings Infrastructure Pvt. Ltd. is a prime real estate company in India. Their vision is to create futuristic real estate developments that mirror the best international structures for the growing Indian real estate market. With their years of experience and expertise they are well aware of the market requirements and totally focused on creating long-lasting structures infused with ultra-modern design. Their projects are spread across the Delhi NCR. Their most notable commercial project is Crossings Republik. It is a landmark creation which reflects the high standards of construction employed by Crossings Infrastructure Pvt. Ltd. Their projects have seen high levels of success thanks to the fine execution of well-thought out architectural arrangements. Both residential and commercial projects by this company combine futuristic design with a well-organised layout and come with a wide list of essential conveniences and facilities. The founders of the company comprise of seven of the most powerful figures in the real estate industry in India and this is reflected in their position as a top builder of quality residential and commercial complexes.